Kelvin Harrap has been sailing since he was 9 years old, and is now one of New Zealand’s finest professional sailors. 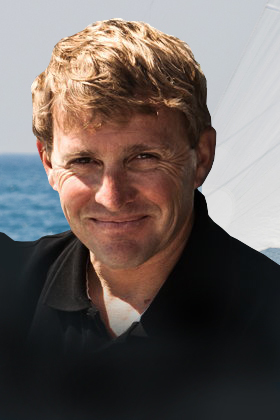 He took part in the 1993-94 Whitbread around the world race and the 1997-98 Volvo Ocean Race. Since his last voyage around the world, he splits much of his time between competing in the America’s Cup and coaching.